If you have a friend, spouse or relative who is a blogger and don't know what to get them for Christmas, check out the following list. As a full-time blogger / freelance writer myself, I can assure you that any of these gifts will be most appreciated! The list starts with gifts for new bloggers and concludes with gifts for bloggers who have everything. 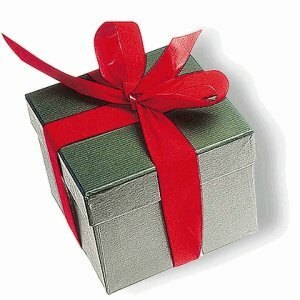 Gift prices range from free to $1000+ for a conference pass. One of the magazines I read religiously is Website Magazine. It covers a wide range of topics (including Search Marketing, Web Design, E-Commerce and more), essential techniques and trends. A basic subscription is FREE. Tooting my own horn here… I've been working full-time online since 2000, and have taught thousands of bloggers to make money online through my books, courses and conference appearances. My reasonably-priced blogging / affiliate marketing video course can be found at Affiliate Blogger PRO and my book is the Super Affiliate Handbook. Any blogger who is serious about succeeding as an online marketer will need to do some social media marketing to expand her reach without spending a fortune to advertise. To get started with social media marketing, I recommend Mari Smith's Facebook Training Course. This is a beginner Facebook course cover personal profiles, privacy settings, etiquette, groups, apps, News Feed and getting help from Facebook. It then moves on to Facebook Business Pages basics – how to set one up and how to lay the foundation for an ongoing content strategy and optimization so you can attract more customers. It also includes the very basics of how to buy ads, including promoting and boosting page posts. One marketing strategy often over-looked by new bloggers is guest-blogging, i.e. posting an article on another person's blog to attract new subscribers and customers. The Guest Blogging Blueprint: Supercharge Your Traffic and Sales course on Udemy has had almost 3,000 students and the average rating is 5 stars. The Black Friday special price is only $17! Also check out Udemy and Lynda.com for a huge variety of online courses about blogging, writing, entrepreneurship, home business management and much more. My personal favorite in the conference world is Affiliate Summit. Although not specifically designed for bloggers, it IS dedicated to those who make money online from their websites through commission sales. GOOD information for ANYONE who operates a blog. Most web hosting companies are currently running seasonal specials, i.e. HostGator has a Black Friday Fire Sale offering 75% off their normal pricing and BlueHost is running a sale everyday this weekend starting on Thanksgiving Day. Many new bloggers who haven't received proper blogging instruction think they don't need this essential service. Sadly, neglecting to include this tool in their marketing arsenal will stunt their business growth. An autoresponder serves to collect names, email addresses and other information from subscribers and potential clients — folks that can be contacted on a regular basis. I've used Aweber for years. Learn more about autoresponder services. Save your favorite blogger from the bane of having an ugly site. I use custom themes for WordPress developed by the fine folks at Studiopress by Genesis almost exclusively on my sites. Great photos and graphics are a must on any blog. I recommend both iStock and Photos.com by Getty Images highly as I use both suppliers regularly. Scribe SEO is THE go-to software for bloggers who want to save time and money while they research for proven money-making content and topic ideas. If your favorite blogger aspires to building a membership site, surprise them with a gift of Wishlist Member software which makes building and monetizing a community site easy. I use it on my own membership site at Affiliate Blogger PRO. If your favorite blogger is someone who shares their adventures via online video, consider getting them the GoPro HERO4 SILVER. UPDATE December 12th, 2014. Changed my mind and for my birthday (yesterday) Ed ordered the OJOCAM Pro Mini 0801 Dash Cam with 8GB Samsung micro sd card, G-Sensor and GPS logger (Google Map Integration), latest firmware, record car accident video evidence, record road trip videos and easily upload to YouTube -1.5″ Lcd, 1080p real time for me. It's on its way! Jackery® Giant+ Premium Portable Charger This is a portable battery charger, iPad charger, travel charger, USB battery pack, charging station, power bank, and portable battery. It works with Apple iPhone 6 Plus, 6, 5S, 5C, 5, 4S, iPad, Air, Mini, Samsung Galaxy S5, S4, S3, Note, Nexus, LG, and HTC. The standard cords that come with an iPhone or iPad are generally too short. Give your favorite blogger the gift of extra range with these 3 metre (10 foot) long cable cords. Does your favorite blogger hate to type? Then free them from the drudgery with the gift of Dragon Naturally Speaking, voice recognition software which lets them turn spoken words into text much faster than anyone can type. Another piece of essential ergonomic equipment that makes sitting for long periods less harmful to your health. I bought my saddle seat office chair following a car accident in late August ’07 … and have used it ever since. and taking glucosamine with condroiton has done the trick, i.e. no more wrist or forearm pain – ever. Taking more vacations has probably helped a lot too! I must confess, this is an awesome tutorials, i was glued to your post line after line till i get to the bottom. I accidentally met your bog while searching some others and loved to read it and the most important thing i found here that it was your birthday. Happy birthday and may god fulfill all your wishes. Please accept my warmth wishes as i am stranger for you but its my pleasure that i have become the part of bday wishes. they don’t support affiliate publishers.although they say they do,I don’t believe them…. Further they have on more than one occasion want me to send my content to them…. Thanks Ros! Great Resource and Idea info. You’re welcome, George… glad you liked the ideas. Happy holidays to you and yours as well!